During this lively seminar, you’ll learn the principles of good garden design, as well as how to strike the right balance between beauty and practicality. This class is an opportunity to be inspired and to glean useful tips to help you create your own dream garden. The masterclass teaches you about different styles of gardens, from sleek modern designs to rustic cottage gardens, and how to maintain a beautiful garden all year round, as well as providing an introduction to understanding garden shows and giving you a Q&A session with one of the UK’s most respected garden designers. The session is run by James Alexander-Sinclair, who has been working in garden design for 30 years. 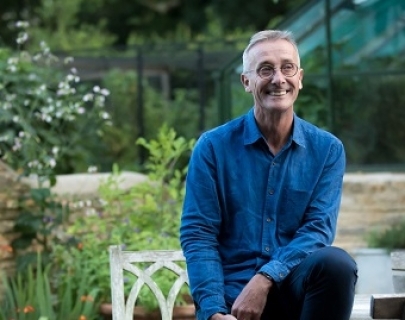 He has designed show gardens at both the Chelsea Flower Show and the Westonbirt International Festival of the Garden, and writes monthly columns in Gardeners World Magazine. James has also presented television programmes on both the BBC and Channel 4, and acts as a judge in many popular garden competitions.